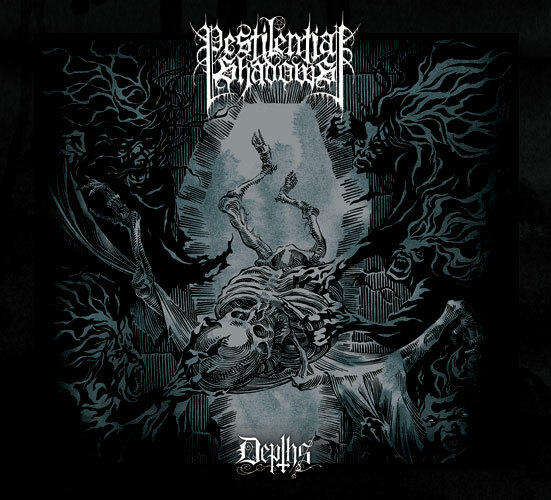 What makes Pestilential Shadows so interesting is their ability to expertly dwell between the two extremes of black metal, channeling an atmospheric mixture of violent thrash worship and freewheeling ambient sorrow that made Scandinavia’s second wave of black metal so successful. The production gracefully integrates modern touches like synths and acoustics into the murky blackness, it is a very coherent sounding album. Check out another review from the omniscient Autothrall and sink into the Depths.